After a string of successes early in this decade, the Magnet Cove Panthers hit a bit of an uncommon lull in 2015 and 2016. In 2017, the Panthers made a comeback, finishing 7-5 overall and earning a share of the 5-2A title. And this year, Magnet Cove (2-3, 1-1) is right back in the mix again. With players like senior Tyler McJunkins leading the way, it’s easy to see why the Panthers were able to get back to their winning ways. 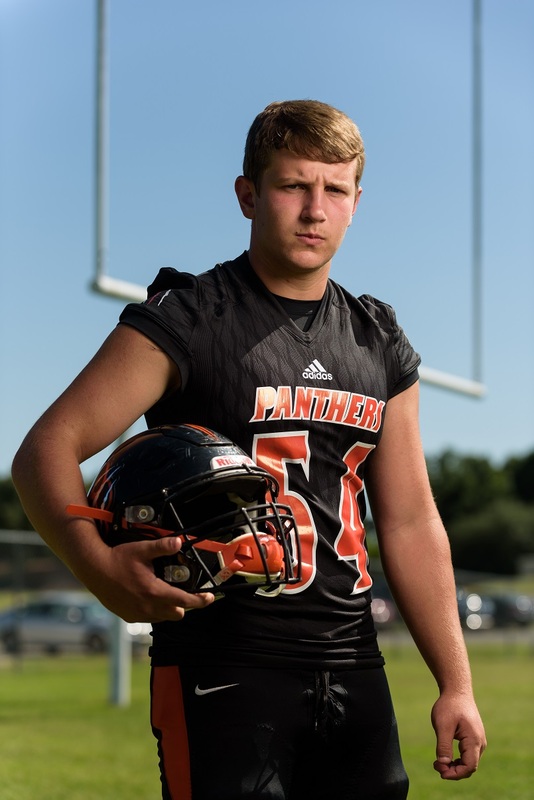 McJunkins, a linebacker and offensive lineman for Magnet Cove, was selected to this year’s 501 Football Team — 28 players representing all 11 counties of the 501. The team, sponsored by Conway Ortho and Sports Medicine Center, Conway Regional Health System and First Security Bank, boasts the best the 501 has to offer both on and off the field. McJunkins was nominated by his head coach, Caleb Carmikle. “On the field, Tyler is the vocal leader of this football team,” Carmikle wrote in his nomination. “He plays with so much passion, enthusiasm and aggression. Our coaching staff knows that we are going to get the most out of Tyler every single snap. Tyler was a two-way starter for us last year and was voted team captain as a junior, which is very uncommon. Our entire team has a ton of respect for Tyler and the way he works every day. After opening 5-2A play two weeks ago with a tough 12-10 loss against England, Magnet Cove bounced back last week with a 35-6 win over Poyen. McJunkins racked up seven tackles. “Poyen is a big rival for us, and that was the perfect time for one of those games because all we were focused on was beating them and not thinking about the previous week,” McJunkins said. This week, the Panthers play host to the Quitman Bulldogs. As important as McJunkins has been for the Panthers on the field, it’s his contributions off the field in the classroom and in the community that are leaving a lasting impact. McJunkins is involved in Fellowship of Christian Athletes, Beta Club and Student Council. After high school, he plans to attend college and major in biology. For now, the focus is on finishing out his final season of football alongside his Panther brothers, hoping to take home another 5-2A title and make some noise in the playoffs. The Panthers host Quitman at 7 p.m. Friday.